You save 50% that's £74.01! Width 145cm, Height 145cm, Depth 29cm. 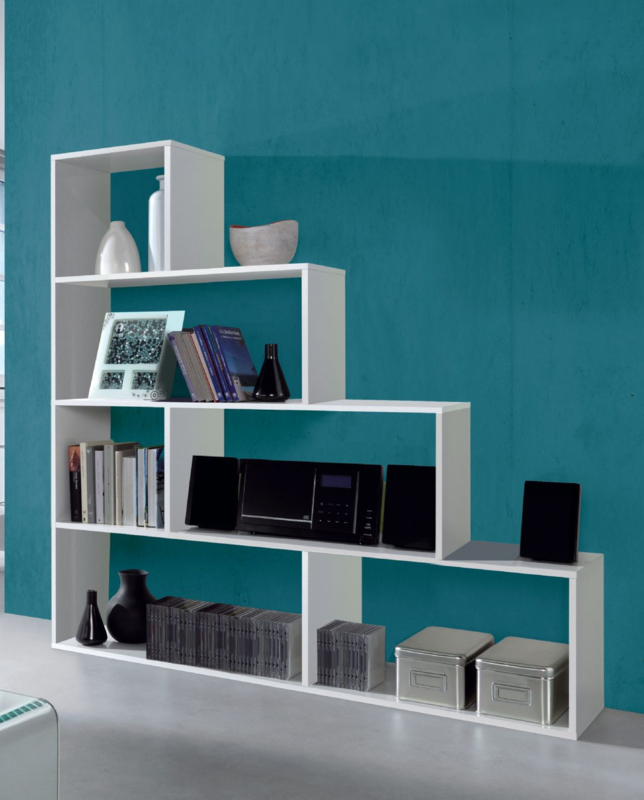 Verona white step bookcase in a modern design. Perfect to use as a bookshelf or feature shelving unit. This bookcase can also be used as room divider because it has an open back.